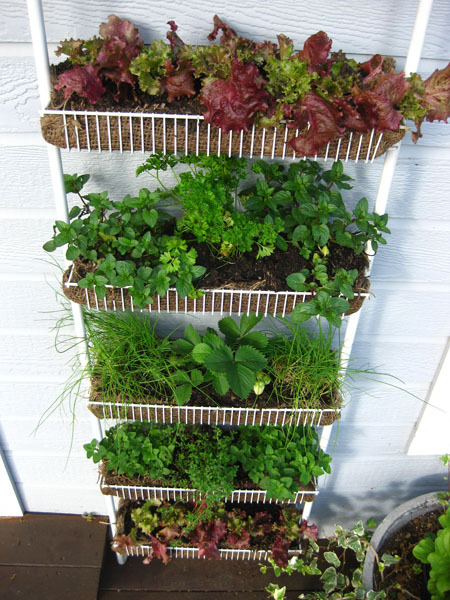 Vertical Gardening: If you're short on space, go up, up, and away! 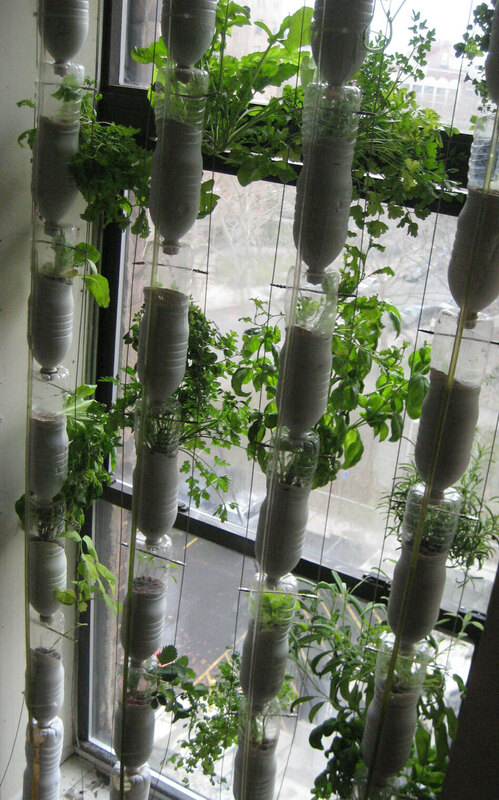 Do you want to grow fresh vegetables, herbs, or flowers this year? Are you short on space? The sky is the limit! Grow your garden up! 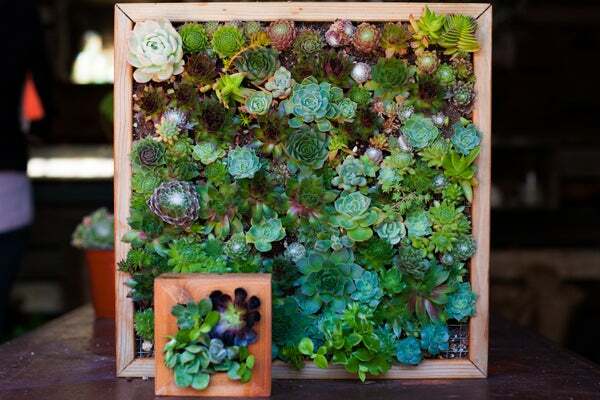 Try your hand at vertical gardening. 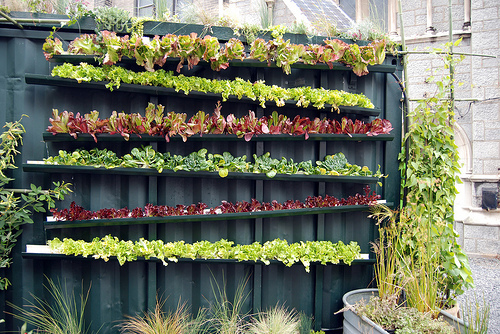 Vertical gardening allows you to grow with less square footage. It can be done in any space that gets sufficient light for the flower, vegetable, herb, or fruit you want to grow. There are a number of ways to grow vertically. Many of the ideas that are listed here can be made from recycled materials. Gardening doesn’t have to be expensive. With a little ingenuity, elbow grease, and/or sweat equity, you can have beautiful and healthy food and flowers. Each photo provides a link to the instructions for each project. If you undertake any of these projects yourself, we’d love to hear your story and see photos. Please post your projects in the comments section. Ooh, this is great! I’m about to move out of my house with backyard garden to an apartment with unknown garden possibilities. This gives me hope that we might be able to maintain a cool balcony garden. Thanks so much for stopping by. I’ll be sure to check your site out. Love it! Those hanging strawberries are beautiful! I am having trouble finding the link with instructions for the gutter strawberry garden. Can you help please? 1. Drill small drainage holes at one end of the guttering. 2. Place the gutters at a slight angle so that the water will drain to those holes. You can elevate them like the picture shown of attach them to a wall of fence panel (my choice). 3. Fill gutters with a planting soil specifically for containers. 4. Plant your seeds or seedlings into the soil and water. You’re welcome. I’m happy you enjoyed it. Have you used any if the ideas yourself? I’d love to hear how they worked out for you. The info on this site is hugely practical. I have been taught numerous suggestions. Are you aware of whether its possible to find a circular table for twelve? Where I can found these trees? I will make a small garden in my home. Thanks for share your experience! I was intrigued by your overhead growing strawberrys. It’s in the middle of the night fir me and didn’t register. My friend that grows them at gtound level gave me a dozen for my Highschool Eternity bound best friend to share with a Widowed Neighbor. I’m waiting to see if they came up. We both ( the neighbor and I.) That the all died. So I was dissapointed to not get to finish reading your post.